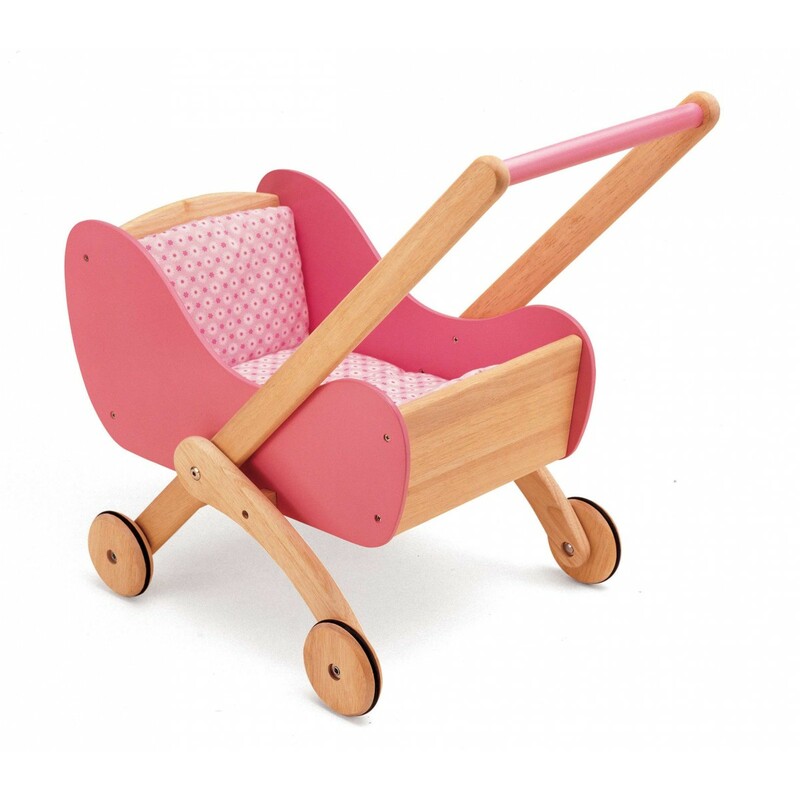 The perfect way to take your dolls out for a stroll is in this beautiful buggy from Pintoy. Made to last in natural and pink wood, this delightful little pram has rubberised wheels to make for an easy ride, whatever the surface. With lovely pink flowery bedding and a cute pillow, there's everything your little one needs to take dolly somewhere special in style. What we love about this product is its simplicity - a wonderfully durable but very sweet dolls pram at a great price. The buggy has plenty of size and width, so there are not many dolls that won't fit inside comfortably. The buggy is made to exceptional standards of quality, and so acts as a very secure walker for little ones taking their first steps.